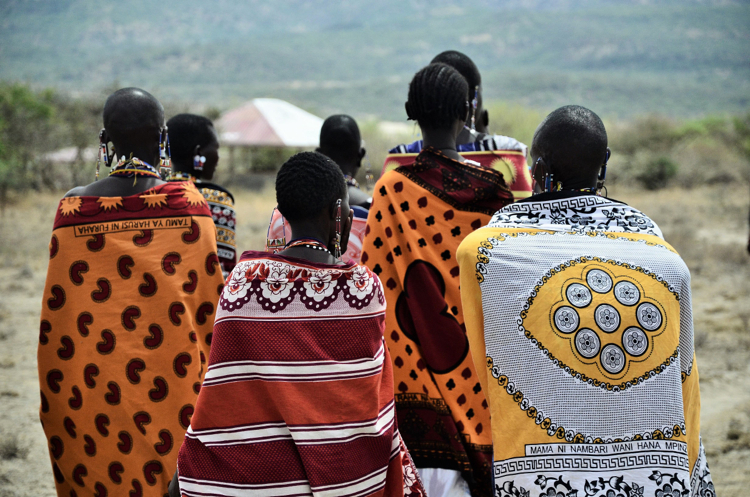 Members of the Olorgesailie Maasai Women Artisans walking back to the studio, Olorgesailie, South Rift Valley, Kenya. Photo by Tereneh Mosley. A new series of contemporary art residencies taking place in the Mexican War Streets is kicking off with a multimedia eco-fashion exhibition and panel discussion featuring the work of Tereneh Mosley. TomonTote. Model: Jazmin. Photo: Tereneh Mosley. Setting up shop at The Residence—thanks to support from Mattress Factory President and Co-director Barbara Luderowski—the recently launched series is bringing interdisciplinary arts programs to 310-312 Sampsonia Way. Throughout 2016, a select group of curators and cultural producers will participate in a collaborative residency with Pittsburgh-based artist and fashion educator Casey Droege which will culminate in an exhibition, lecture or creative program. 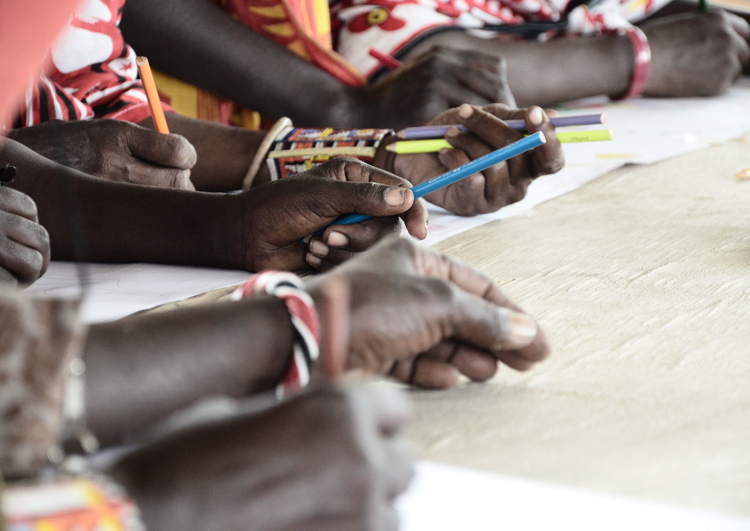 OMWA members sketching in the studio in Olorgesailie Kenya. Photo: Tereneh Mosely. 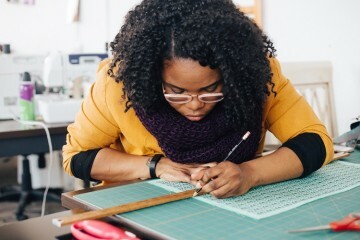 Fresh off the heels of debuting her new collection at New York Fashion Week, artist, designer, educator and Pittsburgh native Tereneh Mosley will share her work and creative practice with Pittsburgh audiences during a multimedia exhibit and a creative design panel taking place on Thursday, February 25th from 7 to 8:30 p.m.
Creative director of the global eco-design company, Idia’Dega: Elegant Ethical Apparel—which she founded in 2008— Mosely premiered her Autumnal Fall 2016 Collection on February 10th at Brooklyn’s Warehouse Gallery during New York Fashion Week. 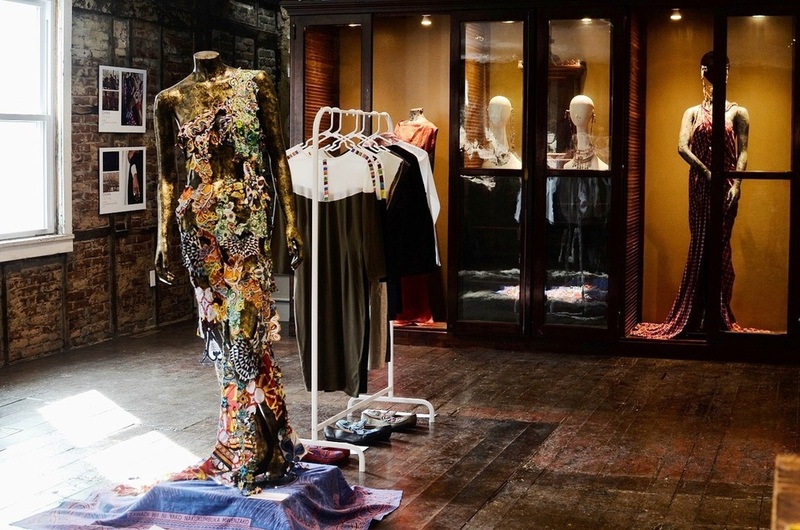 In addition to showcasing her fall fashions, the selection at The Residence features Mosely’s solo and collaborative work, along with photography and videos. Idia’Dega at The Residence. Photo: Tereneh Mosely. Featured are sustainable fashion and accessories from Tomon:10—Idia’Dega’s first collection created in partnership with the Olorgesailie Maasai Women Artisans of Kenya. 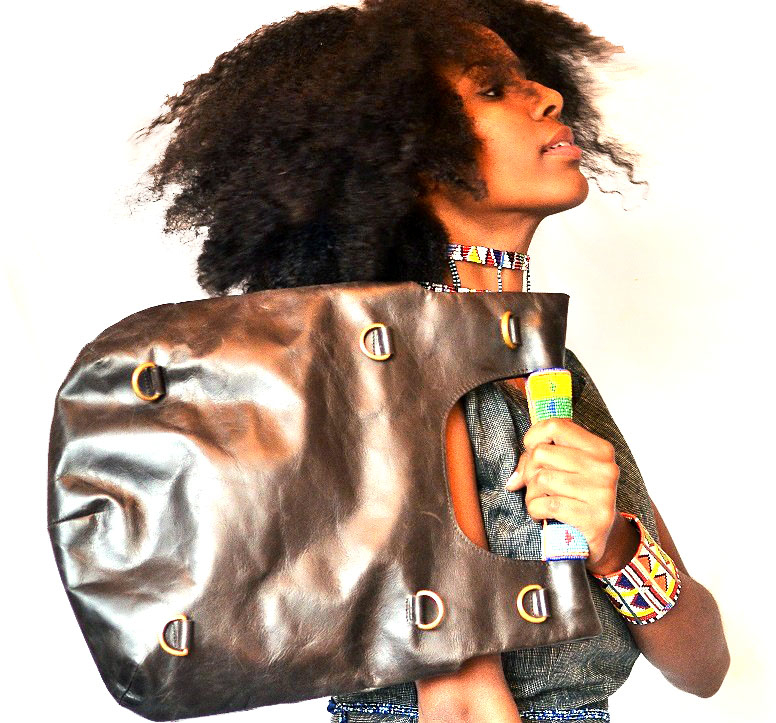 Design pieces include a clutch inspired by a Maasai men’s tote bag used while herding livestock over long distances, a traditional Maasai cuff bracelet, a Tomon necklace and more. Also on view is Mosely’s Eni:Hers Spring 2016 collection, which received support from The Pittsburgh Foundation and The Heinz Endowments’ Advancing Black Arts Program.